Partners in the DeepLens project, pictured from left: Mohamed Gharibi, Saria Goudarzvand and Gharib Gharibi. Imagine being blind. Now, imagine having this kind of information being piped into an earpiece whenever you need it. World-changing, perhaps? Gharib Gharibi hopes so. He is a Ph.D. candidate in the School of Computing and Engineering at the University of Missouri-Kansas City. Inspired by a blind high school friend in Saudi Arabia, he came to UMKC to pursue a degree – and a way to use cutting-edge technology to bring a new kind of sensory perception to the visually impaired. Gharib and his partners are imaging possibilities for the prototype. 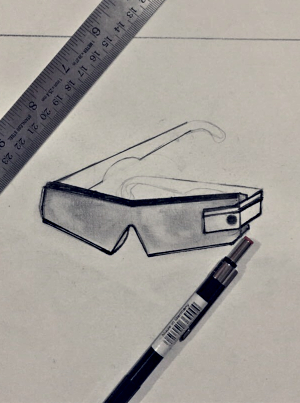 His prototype is a camera that mounts to eyeglasses and connects via Bluetooth to a highly capable smartphone app. The app combines technologies for facial recognition, color and written-character recognition with an enhanced-GPS feature that combines existing maps with real-time visual inputs. The device uses “deep-learning” technology to retain information about environments visited regularly and use it to develop more detailed reports to the user. The app recognizes when it is in a classroom setting and focuses the camera on inputs such as a display screen or writing on a whiteboard. Outdoors, the app focuses the camera on critical inputs such as traffic lights, vehicles and obstructions. Users can activate specialized programs such as a “shopping mode” that will seek out specific items, read price tags and labels, and even tap into online product reviews. 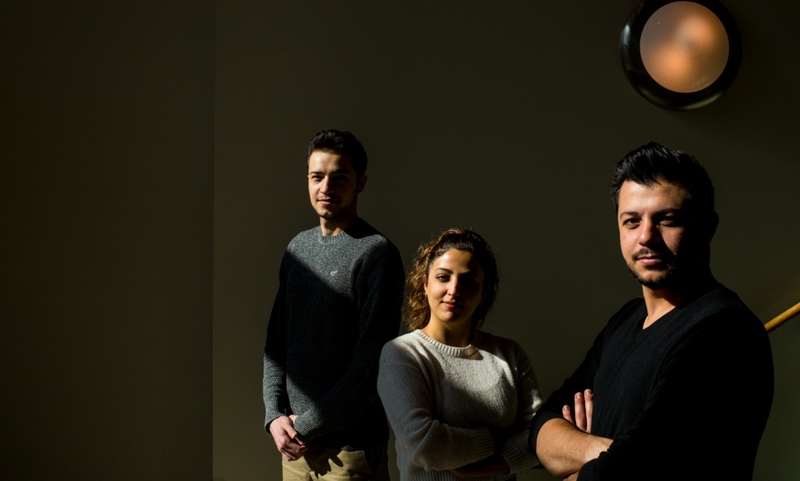 It’s called DeepLens, and it won Gharibi and two student partners a slot among ten UMKC student finalists competing for spots in the University of Missouri System Entrepreneur Quest (EQ) Student Accelerator. The EQ Student Accelerator is backed by a $250,000 investment from the UM System and includes an eight-week educational program, mentorship opportunities, pitch competitions and significant financial support for finalists from each of the system’s four universities. Gharibi’s partners in the DeepLens team are also Ph.D. students: his brother, Mohamed Gharibi; and Saria Goudarzvand. The team expects to have a fully capable prototype completed by March, and they estimate they are about a year away from going to market. Ten semifinalists per university have been selected for the educational program, which began in January on each campus. Students will receive dedicated workspace and mentorship from a selection of executives, industry leaders, investors and subject-matter experts. The individual courses will conclude with demo days and the selection of three finalists at each campus, who will receive $15,000 for first place, $10,000 for second and $5,000 for third. The finalists from each campus will meet at the Entrepreneurial Educators Summit in April and compete for another chance at $15,000, $10,000 or $5,000. UMKC received 35 applications to participate in the first round of the EQ program. Individuals and teams applying included 22 undergraduate students and 19 graduate students. Disciplines represented by these students included biological sciences, computer science, electrical and computer engineering, business administration, music, accounting, chemistry, geography, economics, psychology and medicine. Applications included ideas for fashion, wellness, renewable energy, AI-assisted health, healthcare software, sports tech, AI-assisted market intelligence, cloud infrastructure, mobile phone accessories, mobile applications and more.